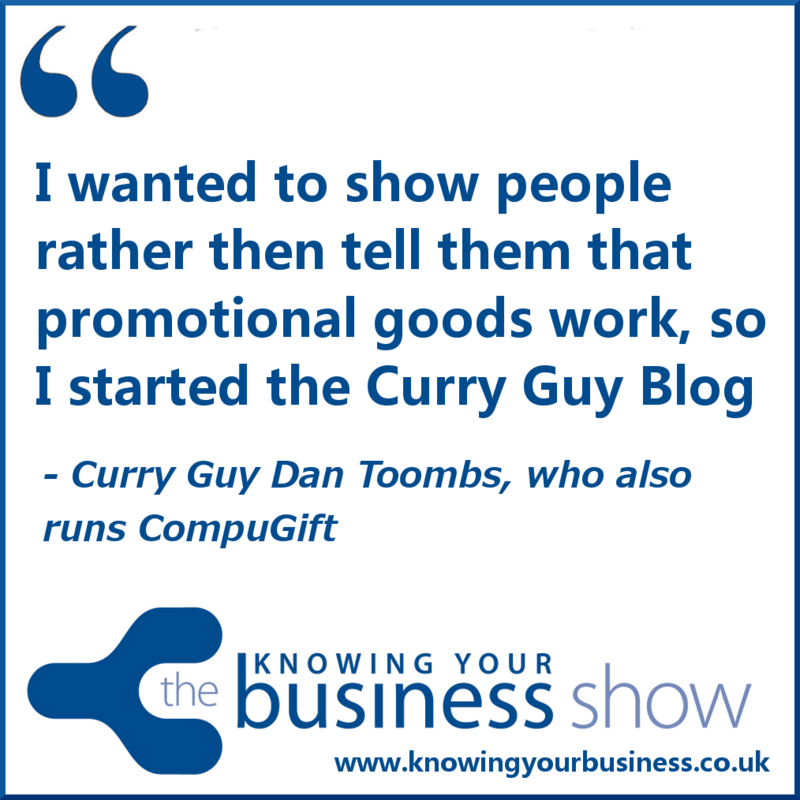 We discuss themed marketing with the Curry Guy Dan Toombs, who also runs CompuGift. Asking the all important questions is regular guest presenter Tim Lyon. Dan launched CompuGift Limited a promotional merchandise company in 1997 after five years in the promotional gifts industry on the manufacturing side. Most of the business gifts they supply could be used for themed marketing. The second one is.great curry recipes, In 2010 Dan decided to actually show people how well promotional products work rather than simply tell them. 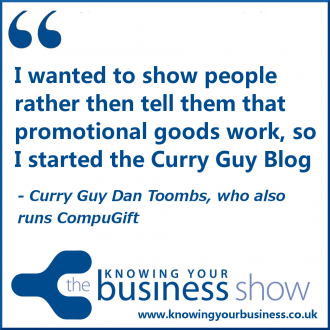 He used themed marketing to promote both his curry recipes and promotional merchandise blogs in a completely NEW way. He decided to write three ebooks – all of which became best sellers on Amazon. He promoted them to those businesses that could help spread the word with embroidered clothing, chilli stress balls and promotional pens. A little 1 minute 8 seconds snippet of how the Curry Guy was born. The Curry Guy Twitter following is over 50000 followers. This is a remarkable story. If you have any questions for Dan or would just like to leave a comment, please do.